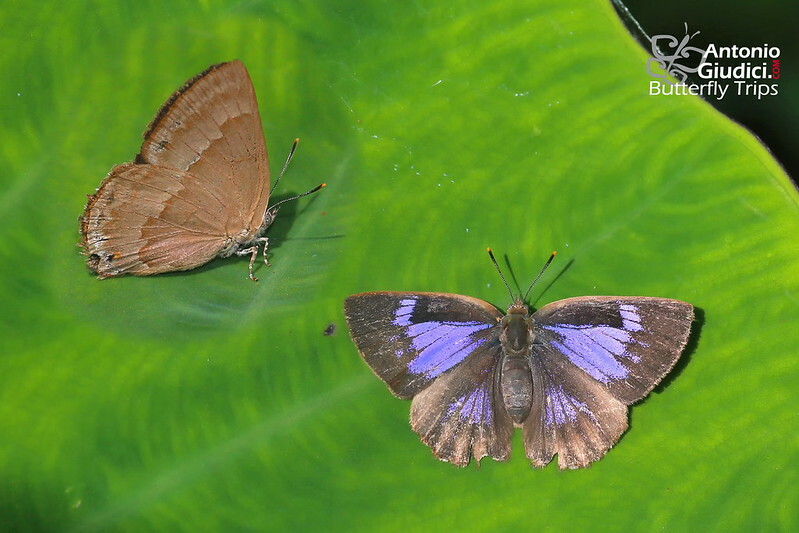 The 21st July 2018, during one of my (few) explorations in my home island of Koh Phangan (Suratthani-Thailand), at about 9am at 300 mt altitude, I spotted a small, a bit battered, Deramas while sunbathing close to a stream in an opening of the forest. Quickly I took a few shots and, being out of the National Park area, I managed to capture the butterfly (now it is being prepared to be analyzed by an expert). It is a female and is not similar to any other Deramas I've found myself or in the literature. I hope in the future to find a male to have a better chance to correctly identify the species. Could be a variation of Deramas jasoda? Inayoshi Yutaka suggests, checking eyes (hairy on the lower half), that the species belongs to the livens group. D. jasoda does not have the orange crown on the black tornal spot. That rules it out. Ignoring the upperside which does not seem to match any known female, the underside is a good match for Deramas alixae. Species like D. anyx & antynax have the cilia chequered. Actually most species except D. jasoda have prominent chequered cilia. Your specimen have the cilia worn out. 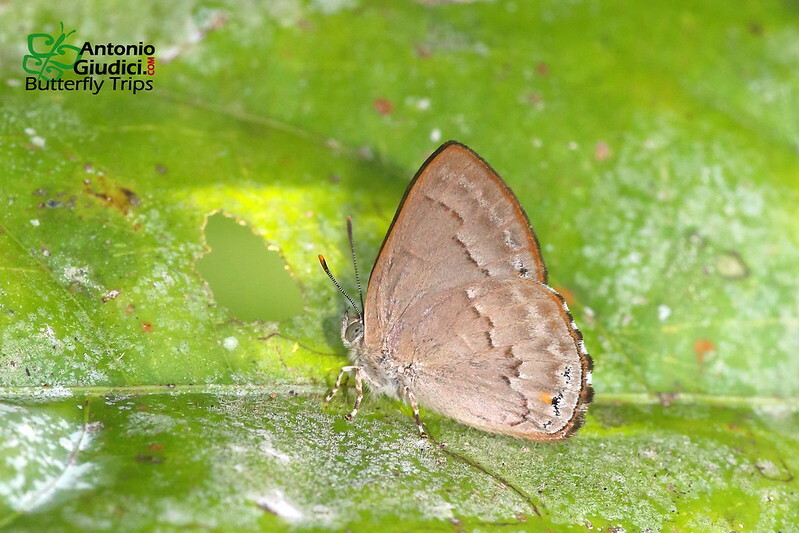 The female of most southern species are known except D. basri but the male of basri have a large orange patch. The UnH of D. livens & antynax are deep (purple) brown. The female of D. nolens & nelvis have the HW band much less irregular. D. yasoda have no orange crown. This leaves only D. alixae or anyx. It is either a variant of one of these two or a new species.